"Taking pills, drinking and smoking in a game would be in bad taste. Too bad Duke doesn't care, and enjoys his vices." 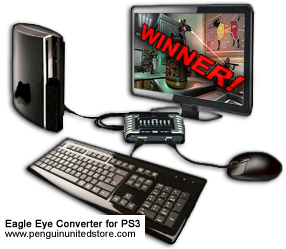 Congratulations to MusicallyInspired for being the random winner of our PS3 mouse and keyboard converter contest. Following this contest as well as our FAC codes contest, we'll soon be holding a third contest involving a free digital download game code worth $60.